Nothing says 'I love you' like grinding your foreheads together, and goo, of course. Not sure which is male or female, can you tell someones gender by the gears in their heads? Left male and right female? Yes and no. 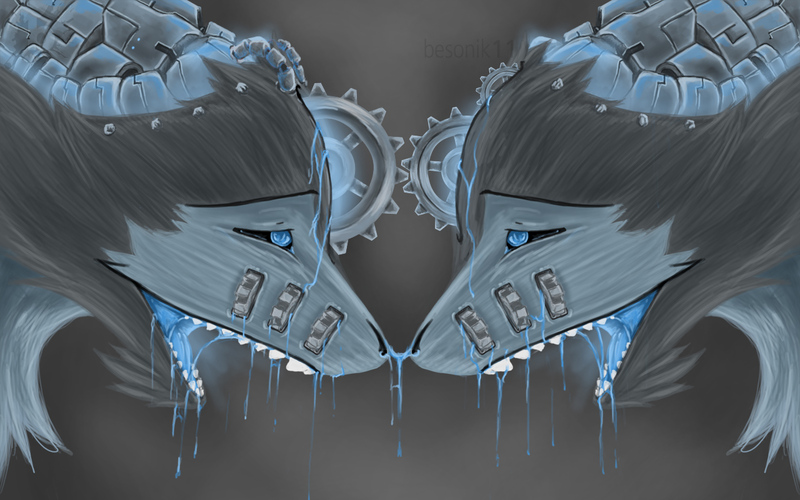 The gears are more a represntation of thought and ideals, and that based on those alone you couldn't easily, or at all, guess someones gender.